What fun--a comfy quilt pieced of small squares of Art Deco-era Beacon blankets! Beacon blankets were called "warmth without weight" because they were woven of cotton in a technique called "wool nap" to feel like brushed flannel to capture warmth. 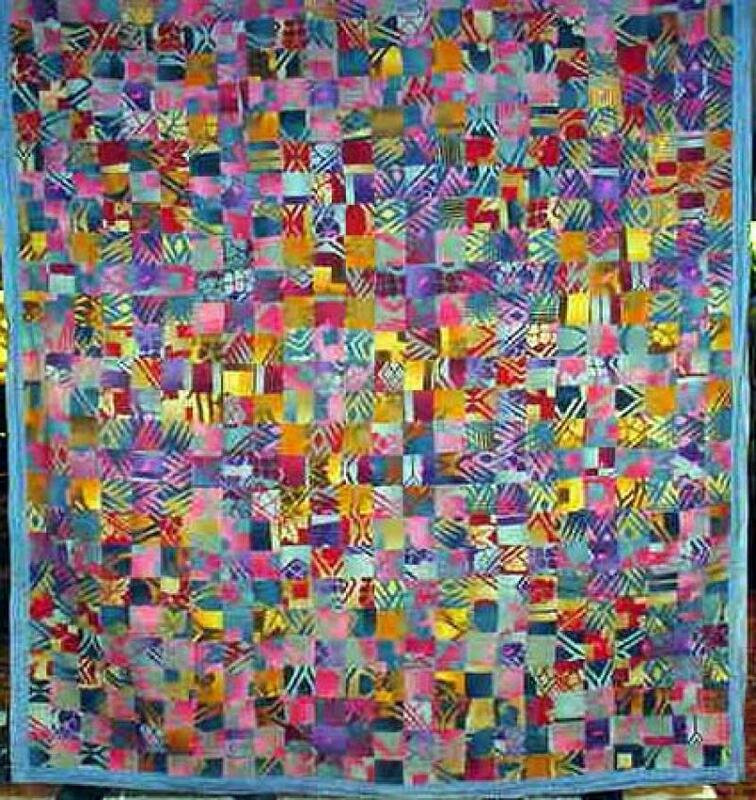 This example has terrific colorful squares with fuschia and golds as well as b lues organized as Nine-Patch blocks. Tied with rose cotton threads rather than quilted. It has a satiny blanket binding and a diamonds print cretonne backing. The melange of patterns in the squares give it a sophistication that belies the country blanket content. One of a collection of three I acquired, enough to complete a rustifc interior in a flash.